Big gains can be hard to find in the financial markets. Nowadays, though, they seem to be everywhere — and that could change how you feel about taking risks. As of Nov. 16, the S&P 500 is up 359% since the bull market began March 9, 2009, counting dividends, according to S&P Dow Jones Indices. This year alone through Nov. 16, Alphabet (the parent company of Google) has returned 32%, Amazon.com 52%, Apple 50% and Facebook 56%, including dividends. Bitcoin, the digital currency, has gained more than 700% so far this year. Against that backdrop, even what investors used to regard as a generous annual gain — say, 10% — starts to feel paltry. New research into a mental process called “contrast effects” shows how that works and how it can alter your behavior. Finance professors Samuel Hartzmark of the University of Chicago Booth School of Business and Kelly Shue of Yale University’s School of Management analyzed nearly 76,000 earnings announcements from 1984 through 2013 in which companies earned either more or less than investors were expecting. It is difficult to know how long it will take for an attractively priced asset to appreciate towards its fair value, long-term investors must be prepared to wait. 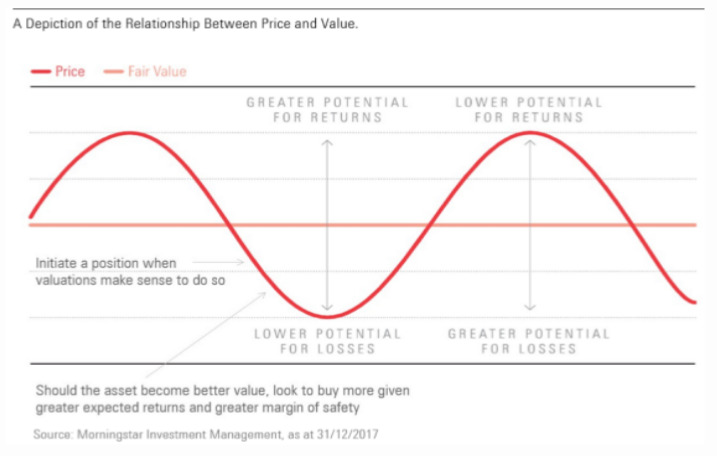 Value investing has a prominent place in our investment process and is backed up by a vast body of empirical evidence that supports this approach to investing. Traders tend to be overconfident and discount what they don’t know about the market and individual securities. They see patterns instead of random noise. And they have a hard time admitting their losses and focus too much on gains. In summarizing the science of behavioral finance, Statman says we’re pretty much hard-wired to consistently make these mistakes — and lose money. Since we tend to think of ourselves as better than average on most everything from driving to investing, it clouds our rational judgment. A body of research has found this to be particularly true when it comes to amateur stock traders. At the typical stock-fund office, phalanxes of computer screens glow like the control room of a nuclear reactor. The portfolio manager is an intense young MBA. He can recite earnings estimates by rote for each of the 100 stocks in his billion-dollar fund. He’s a high-pressure guy, the atmosphere is electric with excitement, and the phones are always ringing. All this costs money, but the managers have to justify themselves. What are they for if not to trade in and out of stocks? Yet all this striving does nothing for most fund investors. Although the industry has its good years, over long periods of time the average U.S. stock fund does worse than a market index. No wonder: Typical annual expenses run to 1.3% of assets. George Mairs, 66, does things differently. Mairs & Power, Inc., founded by Mairs’ father in 1931, has nine employees and runs a total of $300 millon out of the old First National Bank Building in St. Paul, Minn. Nearly all that money is in separate accounts. Mairs & Power Growth Fund has $41 million in assets; a balanced mutual fund, Mairs & Power Income Fund, runs $13 million. Informational edge – An investor can outperform the market by having access to superior information such ground level data, ongoing inputs from management etc. Behavioral edge – This edge comes from being rational and long term oriented. I personally think our edge can come mainly from the behavioral and analytical factors. The Indian markets had some level of informational edge, but this edge is slowly reducing with wider availability of information and increasing levels of transparency.